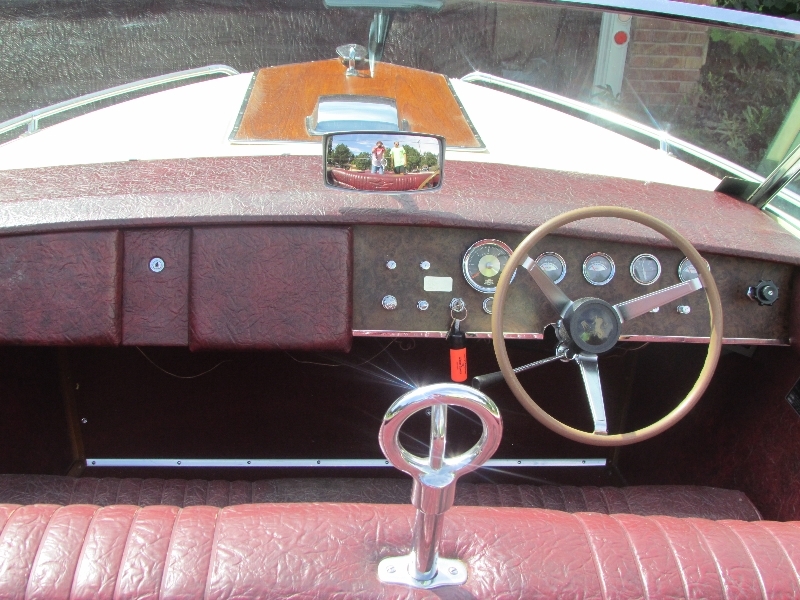 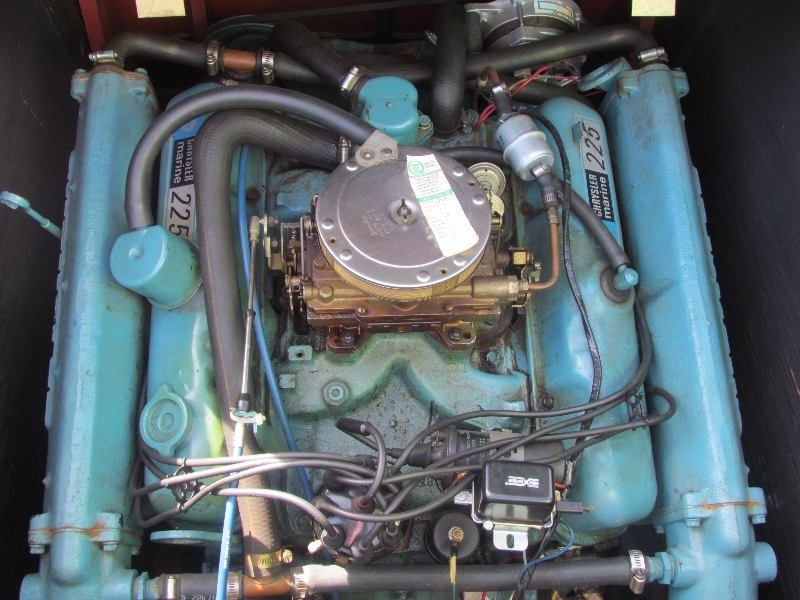 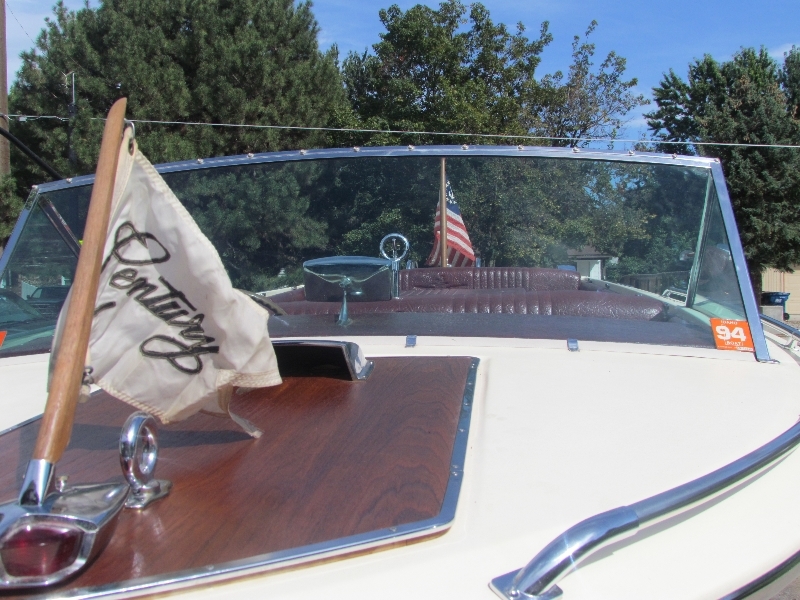 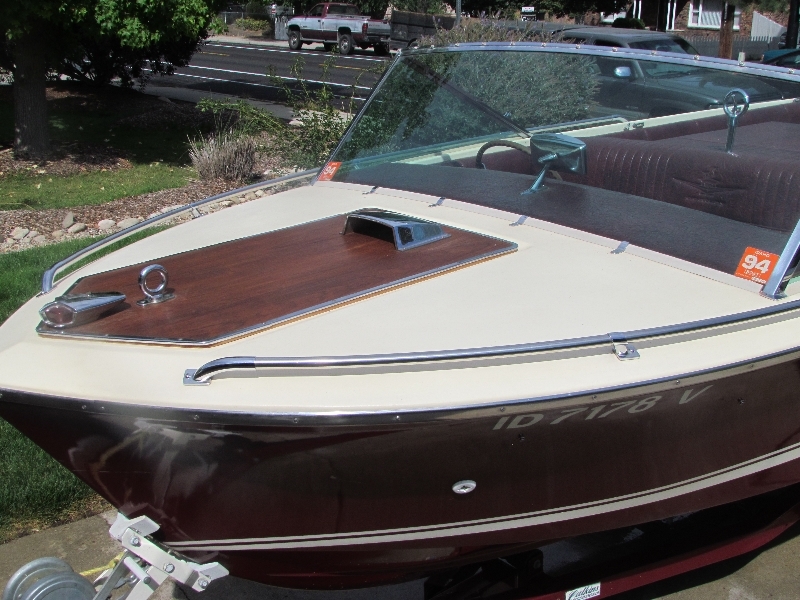 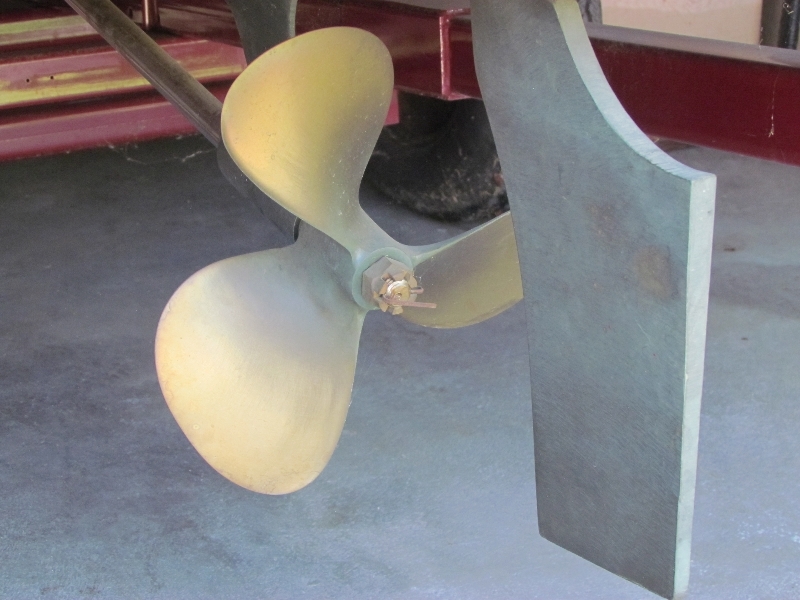 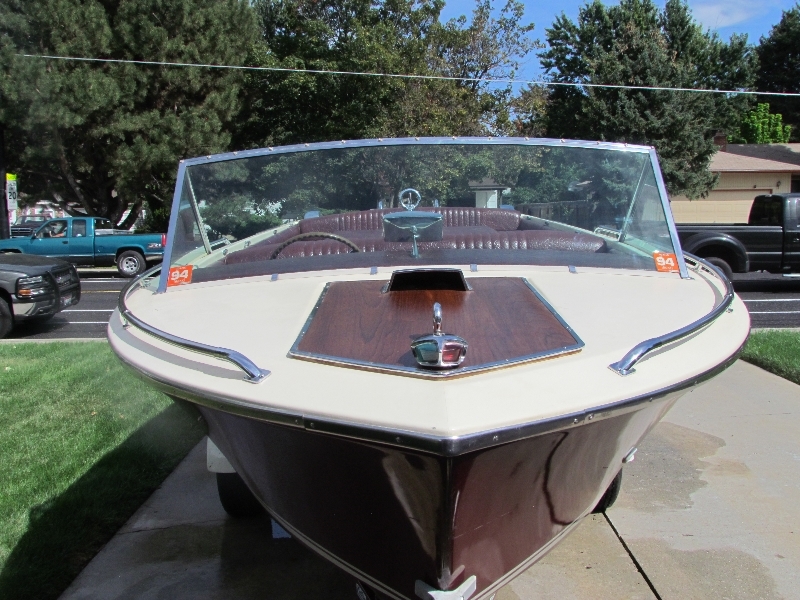 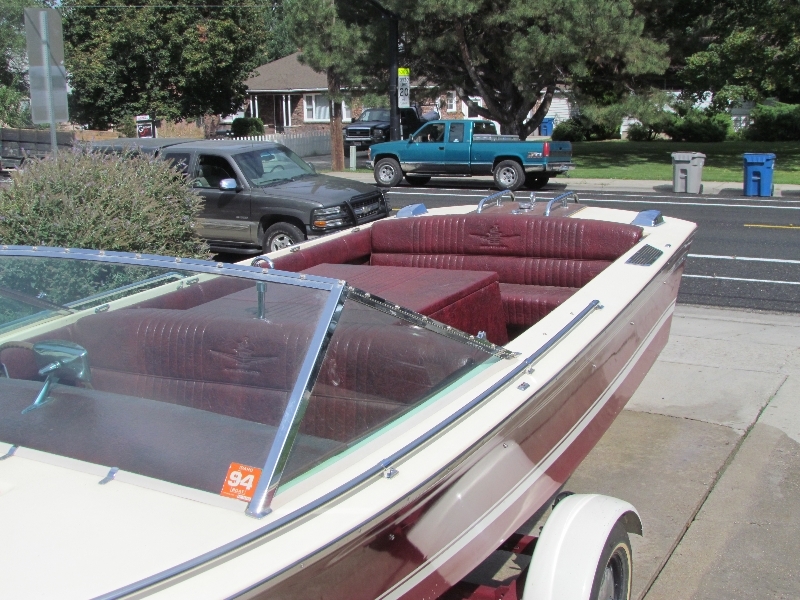 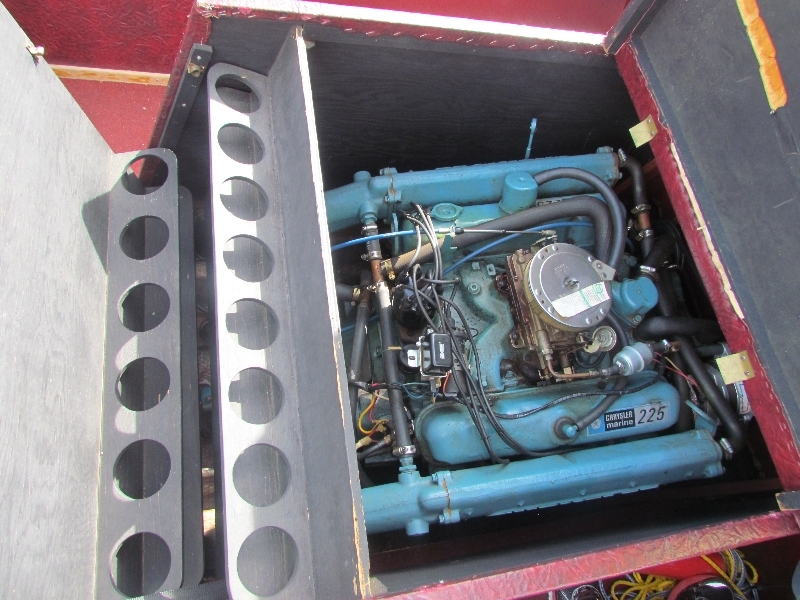 All original including glass, upholstery, flags, Stock Chrysler Marine 225 HP V 8 engine, has less than 400 total hours. 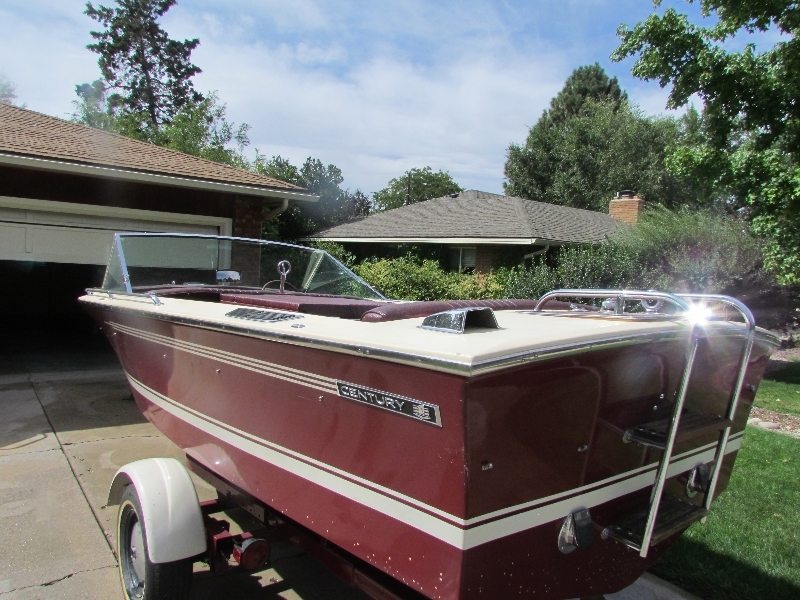 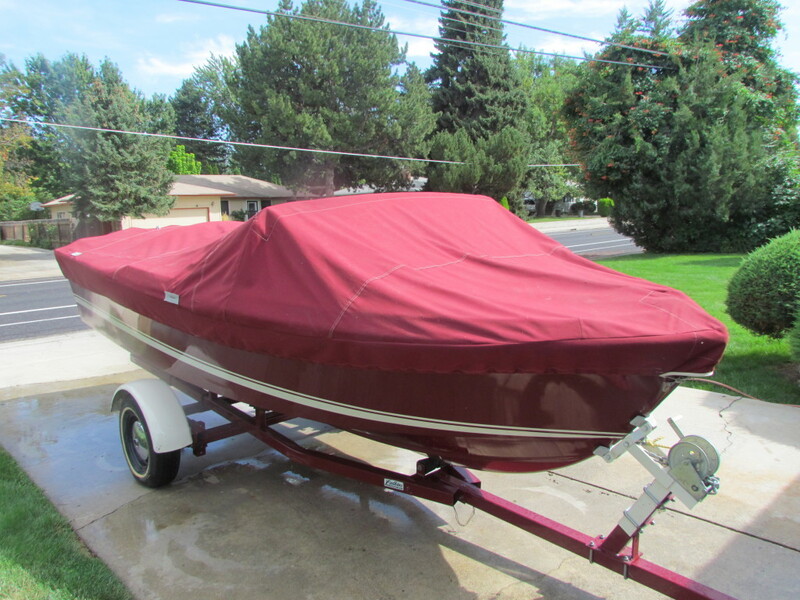 Boat painted in McCall the original Century maroon color because the original color was fading. 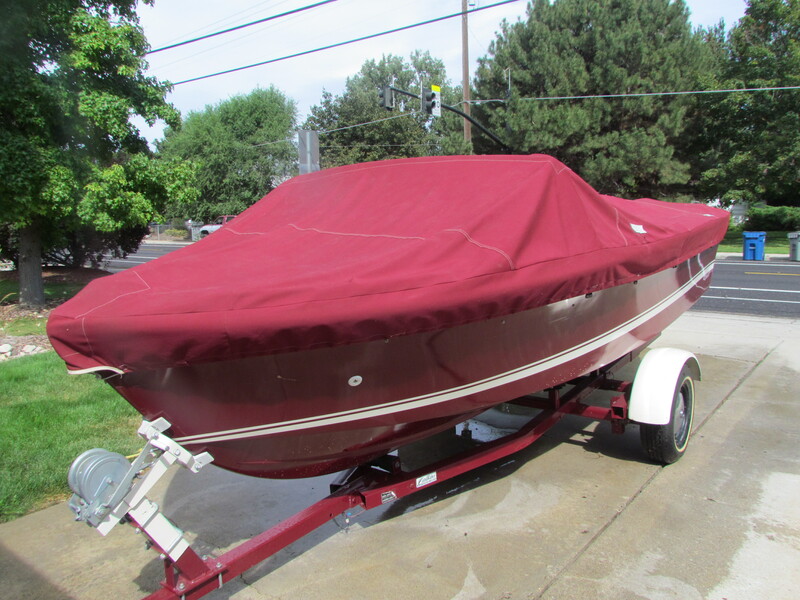 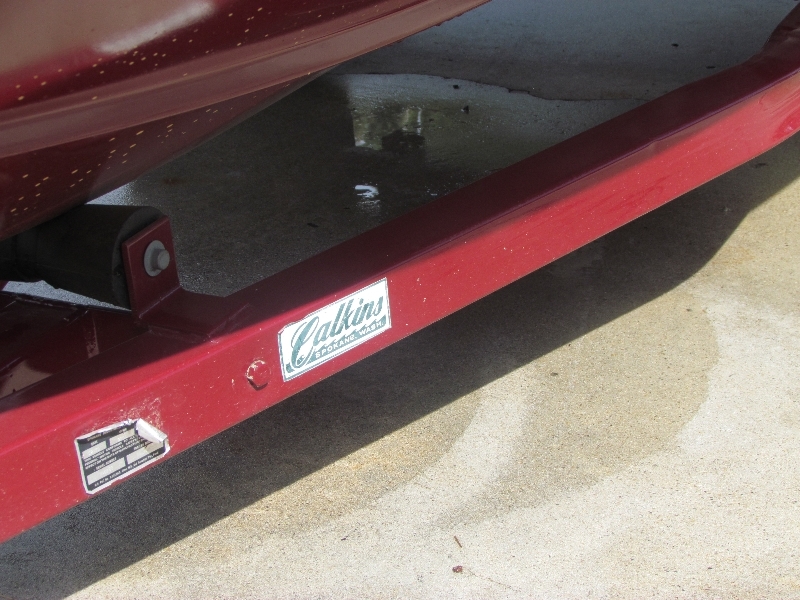 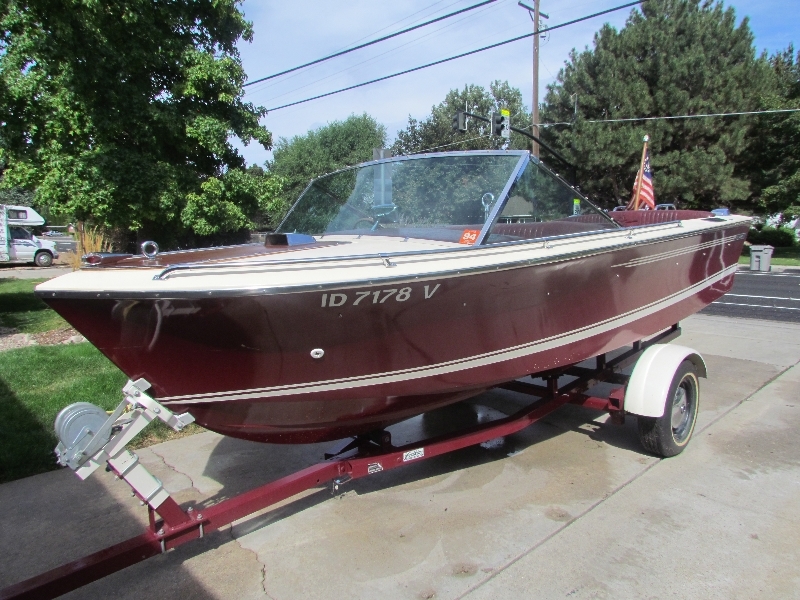 The boat includes a matching (color maroon) Calkins trailer with almost new tires. 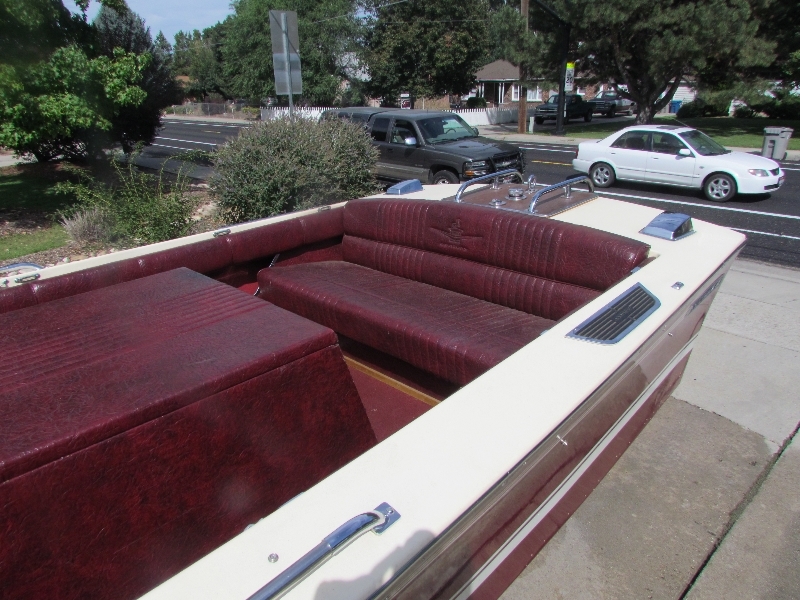 This boat is all original (except paint) including all wood. 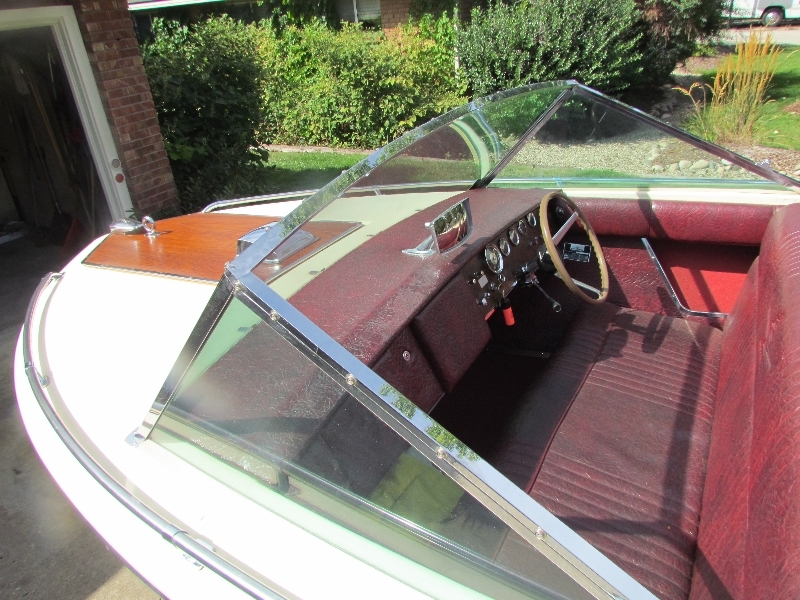 It does have an after market disc player in the glove compartment with speakers under the back seat.